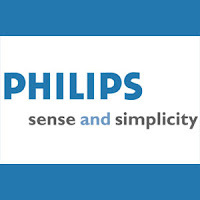 Philips is a diversified Health and Well-being company, focused on improving people’s lives through meaningful innovations. As a world leader in healthcare, lifestyle and lighting, Philips integrates technologies and design into people-centric solutions, based on fundamental customer insights. In its more than 120 years history, Philips’ portfolio has changed profoundly, but innovation has always remained and will remain the cornerstone of our strategy. Across Consumer Lifestyle, Healthcare and Lighting, Philips has the right portfolio to address key societal issues, such as aging populations, improving the livability of our cities, promoting healthy lifestyles and a more sustainable world. Innovation is at the core of the business, to make the world healthier and more sustainable through meaningful utilization of this. Philips Research works closely with academic and industrial partners on a global scale to address people’s needs, using this joint innovative power to bring more innovations to the market effectively and faster. This approach has enabled the company to surprise people with breakthrough innovations for over 90 years, covering everything from lamps and radio to medical equipment, electric shavers, television and semiconductors. Willingness to travel about 50% around Indonesia. Fluent in English, both oral and written and native in Bahasa Indonesia.